Thank you to Portable Sanitation Association International for donating to Friends of Ngong Road in response to World Portable Sanitation Day sales! We are grateful for the wealth of knowledge you offer portable sanitation businesses like ours, and for your commitment to also make a difference for kids through education. I’m glad to report that we have had another fantastic year of camp in Kenya, offering the opportunity for both staff and students to enjoy getting away from Nairobi for just a little while. 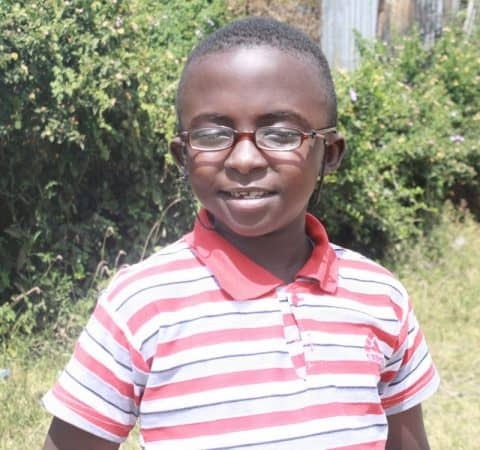 I joined Ngong Road Children Association staff members Kelvin Thuku, Antony Kamau, and Mary Muriu as a co-director for both our senior and leadership camps. 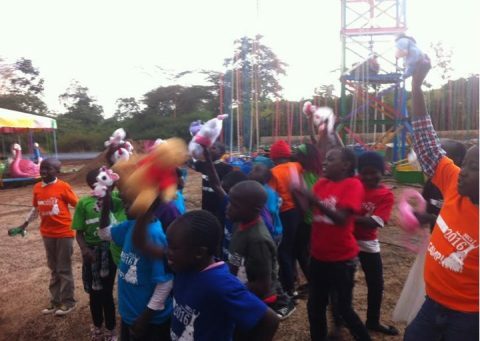 Camp was held at the St. Francis Xavier School near Lake Naivasha, famous for wildlife and scenic beauty. The students had fun and that is one of our core requirements for camp to be a success. 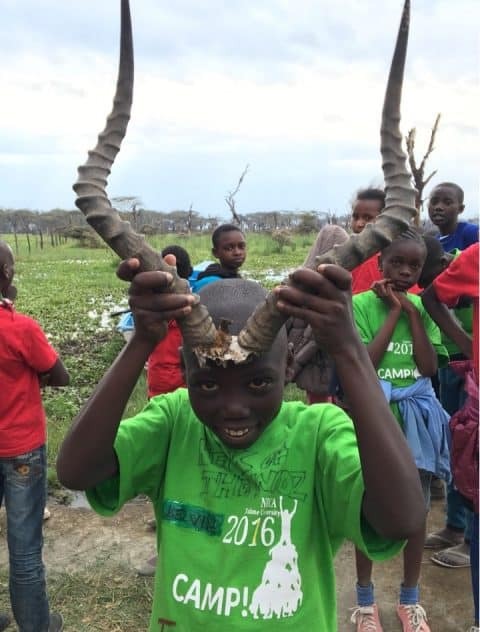 In addition to just having fun, the children also had a chance to see the surrounding area and, during senior camp, go to Hell’s Gate National Park on a field trip. As we finish our 10th year of camp, it’s worthwhile to reflect and think about how this portion of the charity has evolved over the years. Our original camp, run by Tom Gleason in 2007, had some very basic goals: food, structure, and enrichment. The camp was held in Nairobi and had all children in the program participate (only 150 back then!) during the daytime. At the end of the day, the children would go home and come back again in the morning. Camp was also significantly shorter, with the entire program finishing in just one week. Camp became an anchor for these children in some ways. As I continued to come back subsequent years, I would hear stories about how for the first six months after camp the children would talk about how they enjoyed the previous camp. The next six months were filled with thoughts about how much they looked forward to it. That is a powerful testament to the work that our volunteers, staff, and directors do. Knowing what a valuable experience camp is for these children, the camp program started to evolve and grow over the next few years. Camp started to be segmented by age bracket to provide more age-friendly activities. For instance, the older children in the program could start receiving additional enrichment and life skills, taught by our volunteer staff. We experimented with field trips and then started actively relocating the entire camp to different regions so the children could be exposed to different areas. We have now grown to multiple camps: Little Kids Camp, Grammar Camp, Senior Camp, and our most ambitious, Leadership Camp. For the past few years, Leadership Camp has created an opportunity for our older students to apply and actually be part of the staff for camp. They are trained with a servant leadership model, focusing on enabling their teams and squads to succeed together. There are no heroes at camp; success is team-based. For the second year in a row we were delighted that Sally Kenney joined us at camp. As a sponsor of three children and Executive Director of the Newcomb College Institute at Tulane University, she is uniquely qualified to empower our leadership campers and take them to new heights. Sally also implemented a partnership of Friends of Ngong Road with Tulane University. This year and we saw our first three students from Tulane earning course credit for joining us at camp! It was a fantastic first and a stellar way to continue growing camp after ten successful years. Thank you so much to everyone that allowed camp to again be another wonderful time for the kids. From personal experience, I can admit the staff had some fun, too! Little Kids August Camp took place on Monday the 22nd and after a slow start to the day, it turned out great. It was a slow start because when we arrived at the scheduled venue, Destiny Gardens,we found it had been demolished and moved half an hour further down the road. It took ages to find!! However after finding the right location we found it had a nice garden, swimming pools and an amusement park with dodge’em cars and other rides. Merry-go-round anyone?! Our kids didn’t have swimming gear but luckily we could rent them on the spot. It was a great decision to do so…we got great joy out of watching the fun the kids had. After lunch, they hit the amusement park again with gusto. Even when the rain came, it didn’t deter their enjoyment. After the prize-giving ceremony around 5:30pm, where each child received a soft toy donated by an Irish family called the Heekins, we all headed home. We arrived back at the NRCA office nearly two hours later due to the traffic and the rains. The caseworkers took the kids home if their parents or guardians were not there to meet them. It was a very long day for everyone but the fun was super. 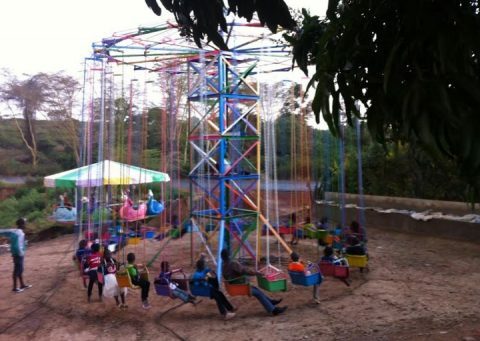 Roll on to next year when the construction at Destiny Gardens is finished …hopefully! Daily Chores Start the Fun! Each day at Grammar Camp began with cleaning the dorms, group songs and chants, and a reminder of our goal for the day: to have fun! The kids’ home lives are filled with cleaning, collecting water, walking to school, learning, studying, and more home chores necessary to make the home or boarding school function. At camp, while still learning and taking care of the environment, the kids are laughing, running, singing, and literally jumping for joy just because they have the space to do it! Camp is a unique experience to see the true spirit and beauty of the kids in our program. This year, two professors and three students from the Newcomb College Institute of Tulane University joined us at camp. They led sessions about gender roles, emotional intelligence, leadership, and participated in crazy games. They built relationships with our students, and were a listening ear for many. Students also had the opportunity to go on a safari hike and boat ride in Lake Naivasha where they saw giraffes, zebras, hippos and more. As I sat by the lake and was given a Swahili vocabulary quiz by some of the boys, I saw what a family this group of kids has become. The shared difficult experiences and opportunity through the program create an important bond among the kids. I had heard about camp being important for community building and for the success of the overall program. I have now seen it first-hand, and it is so true! Camp is a valuable time for our community of kids and caseworkers to continue to grow. Thank you to everyone who made Camp 2016 possible through your gifts to camp.